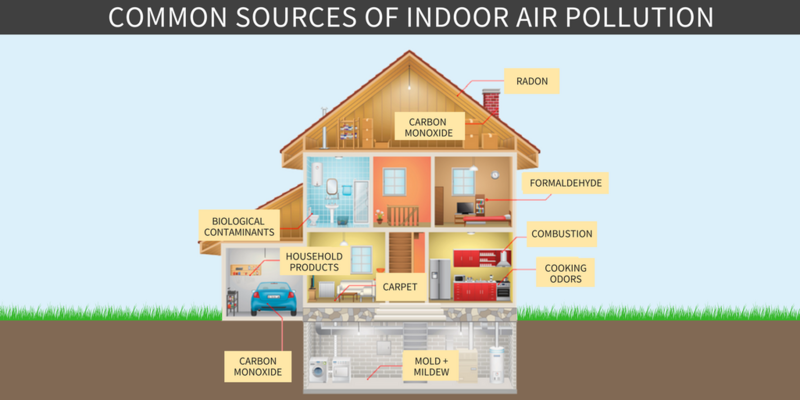 Are VOCs Polluting Your Indoor Air? If you’ve ever installed new carpet, repainted your bedroom, or purchased new furniture, then you have most likely – and unwittingly – introduced VOCs into your indoor environment. So what’s a VOC? It stands for volatile organic compound, and the EPA defines it as gases emitted from certain solids or liquids, such as paints, cleaning supplies, pesticides, building materials, furnishings, adhesives, permanent markers and more. While most people can smell high levels of some VOCs, other VOCs have no odor — and odor is not indicative of the level of risk from inhalation. The Minnesota Department of Health states that thousands of different VOCs produced and used in our daily lives, including acetone, benzene, ethylene glycol and formaldehyde. If you or someone in your family is already prone to skin sensitivities, allergies or asthma, or are currently in poor or compromised health, VOCs can exacerbate their symptoms.